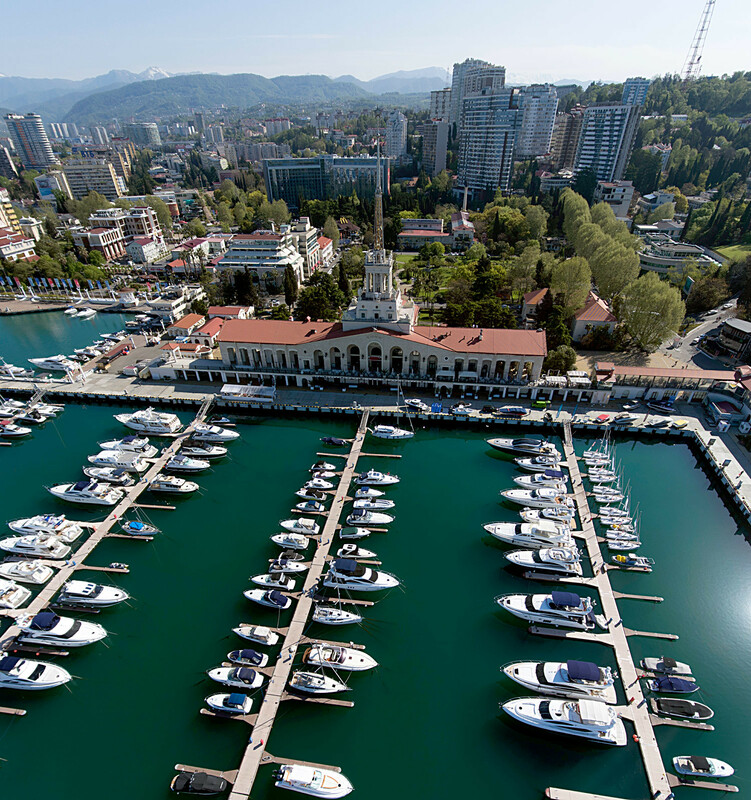 The ‘Russian Riviera’ offers boating, meditation, Olympic sightseeing, and gambling. Nothing invigorates as a morning swim, especially when the sea is next to your window. Regardless of whether you stay in Sochi or nearby Adler (a resort 30 km away), you can wake up with the sunrise and take a refreshing swim in the warm sea. This will energize you for the rest of the day. As one of the finest restaurants on the Black Sea shore in Sochi, the menu is divided into four sections inspired by the four elements: earth, air, fire and water. 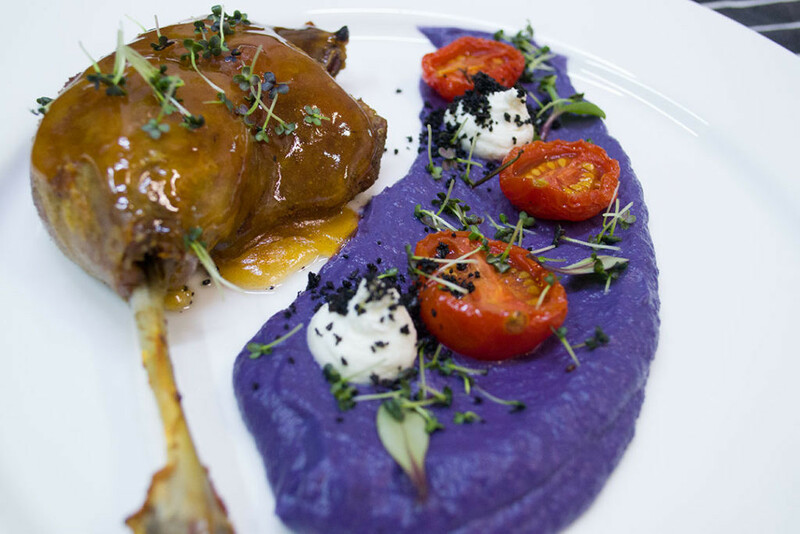 Each has exclusive courses made of ingredients locally cultivated and harvested. If you find yourself in Adler, visit the renowned gastropub, La Punto. Its fine selection of seafood is supplemented with a traditional Russian breakfast. This masterpiece of landscape art dates to 1892, and for only $4 (250 rubles) this park opens its doors to those who seek solitude or take meditation seriously. Wandering among the greenery and marvelous landscape architecture will clear one’s mind and calm the nerves. This shopping and entertainment center is where locals find rescue from the inflow of tourists during the height of the season. The venue offers shopping in brand boutiques, a food court, and various entertainment for toddlers and older children, including a petting zoo. The cinema screens movies in IMAX format, with tickets as low as $1.7 (110 rubles) – a paltry price for those used to Moscow’s average of $8 (500 rubles). Departing from the More Mall, take a stroll down the Sochi River, which leads you to the city’s main piers. Your destination is the Jacques-Yves Cousteau graffiti, a landmark of local street art. On your way from the mall to the seashore is Park Riviera and multiple street art objects. The most famous is the bright red Lenin Mosaic, a pilgrimage site for connoisseurs of the Soviet aesthetic. Note: summer sunsets in Sochi begin earlier than in Moscow. By 7:30 p.m. you must be at the calm part of the shore next to the Cousteau graffiti if you cherish catching a glimpse of the sunset over the waters of the Black Sea. Dining in this resto makes one feel as if he or she belonged to the highest strata of the Soviet nomenklatura. 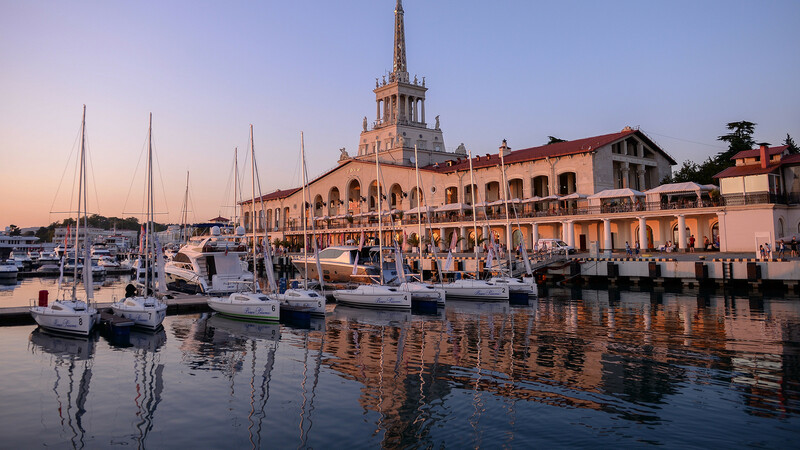 Its posh exterior is majestic, located on the second floor of the Sochi Sea Port, and its terrace provides a breathtaking view over the dock where small and big yachts moor for the night. The venue works well for a casual dinner as for a solemn occasion, and will impress everyone. Eat breakfast at one of the restaurants adjacent to the dock: all serve local seafood of exceptional quality. Relax and let the morning breeze and cold wine cool you down before the heat of the day strikes. Drop the snobbish habit and stop ignoring locals who offer a ride on a boat. Are you a tourist? That’s absolutely fine; stop trying to pass for a local and accept the offer. For only $13 (800 rubles) you’ll set out to sea on a cozy little yacht for one or two hours. Isn’t that a great bargain?! A useful lifehack: when in the sea ask the skipper to turn off the engine and go for a swim. Diving into the thick water of the Black Sea is a once-in-a-lifetime experience. Sochi’s impressive Olympic Park deserves a tour of its, own but it’s way too tiring to walk this massive field on foot. Instead, sit down at the Parus Café that is squeezed between the sea and the park. Next, head towards Sochi’s amusement park. This amusement park is inspired by Russian folk tales, and features giant sand sculptures and multiple roller coasters. An adrenaline rush is guaranteed and children won’t want to leave. Sochi’s massive musical fountains are located next to the Olympic torch in the heart of the Olympic Park. This spectacular show begins every night at 8:30 p.m. and lasts for one hour. Krasnaya Polyana, Russia's newly built mountainous ski resort, deserves to be visited in daylight. Its scenic venues have the best views in all of Sochi that are a breathtaking experience. 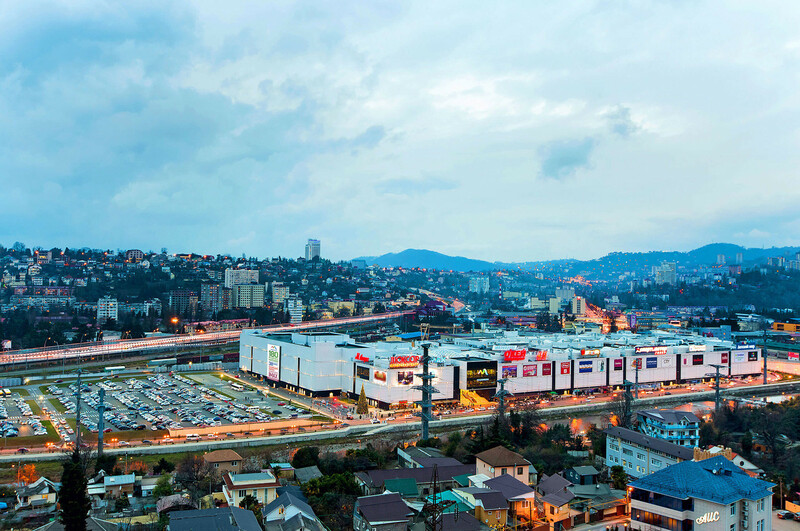 Time flies in the ‘Russian Riviera’ and many only reach Krasnaya Polyana at dusk. If this happens, don’t worry. 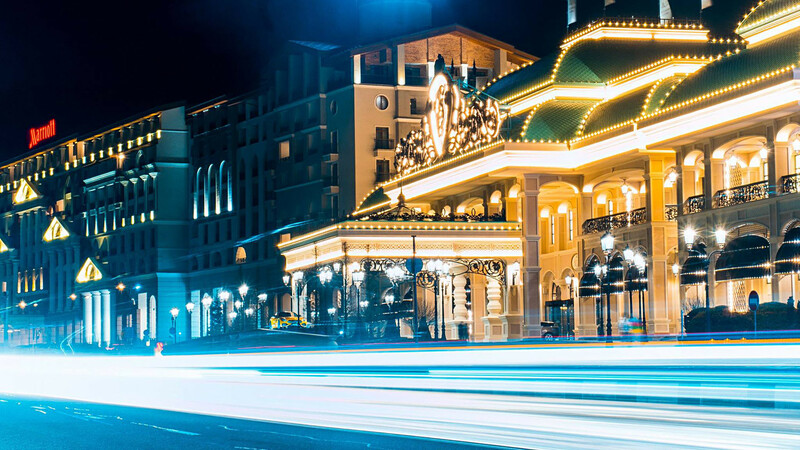 Sochi Casino has all sorts of round-the-clock entertainment, including gambling, bars, and occasional concerts by Russian pop stars. One day is enough for the ‘Russian Riviera’ to steal your heart forever – return in winter to take part in the traditional Ski Bikini Fest at Krasnaya Polyana.